Okay, get out your pitchforks! 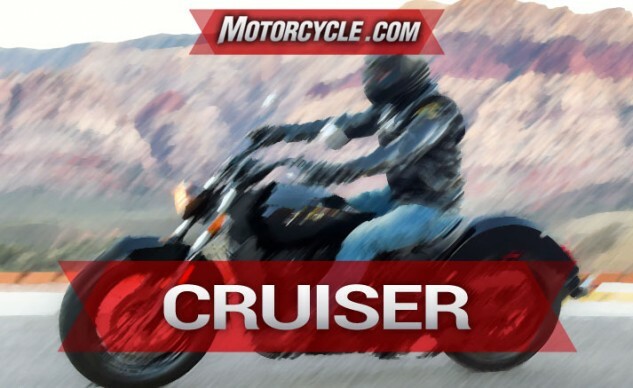 Indian’s won Best Cruiser for the second year in a row with a Scout. This year, however, the kid brother, the Scout Sixty, takes home the prize. How could that be? The Sixty is only a sleeved down version of the bigger Scout with less shiny parts, right? Well, that would be half right. The other half is that, for a MSRP of $8,999 (or $300 more for white and red color options), Scout Sixty riders get a motorcycle that twists out 95% of big brother’s torque at a 20% discount. The horsepower curves are quite close to each other up until about 5,000 rpm, in the meat of the torque curve where cruisers spend nearly all of their time. In every other performance category, the Sixty is exactly the same as the Scout. The brakes are the same as the base model Scout – although ABS is now a part of a $1,000 package that includes upgraded paint – but have always worked quite well for us. For better or worse, the same can be said of the Sixty’s suspension, which is competent but lacks the rear travel we’d prefer for a better all-rounder motorcycle. The riding position is identical. In fact, it’s easier to point out what is different between the Scouts than the similarities. 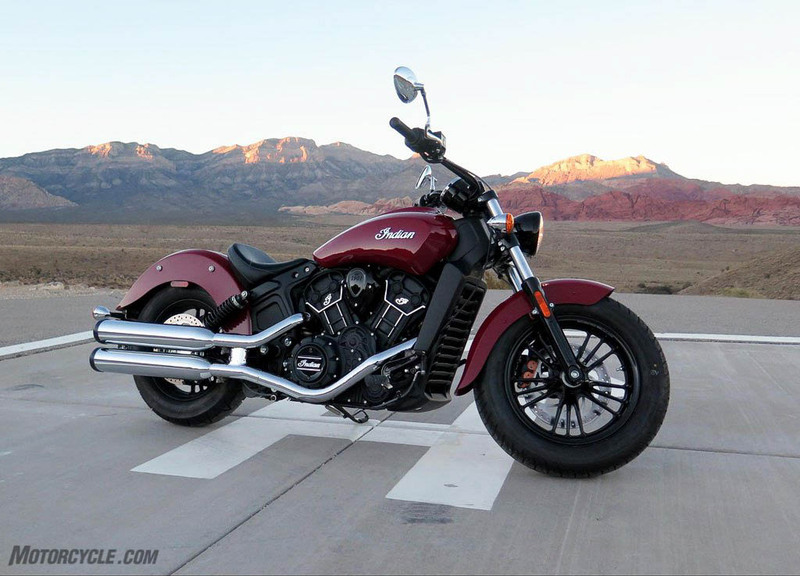 The Scout Sixty’s cosmetic differences from its big brother will only be noticed by people who know what to look for. Next, the styling of the Sixty is only slightly less polished than that of the Scout. Essentially, you get less shiny stuff with the lower price. What the Sixty retains is Indian’s premium-level attention to detail. Close inspection of the Sixty reveals a build quality much higher than you’d expect for a $9,000 price tag. Plus, riders can take the money they save and buy factory accessory items which share the same part numbers of those for the Scout. 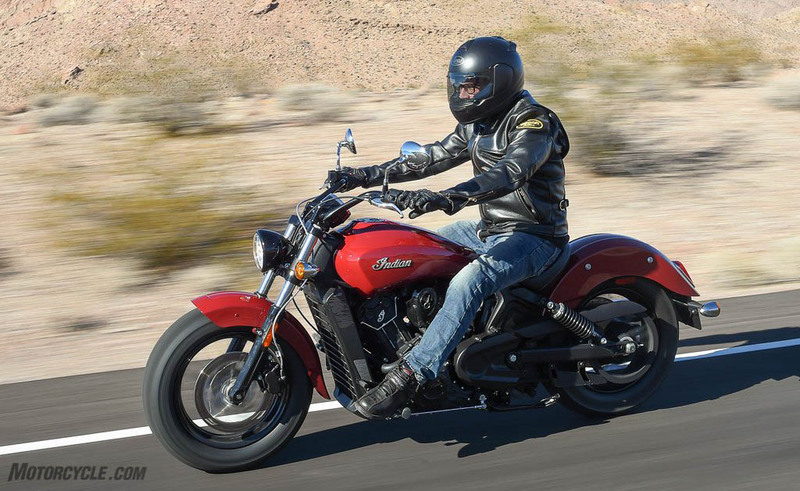 The Scout Sixty ranks as MO’s Best Cruiser of 2016 because Indian managed to capture the best characteristics of last year’s Best Cruiser and Motorcycle of the Year while maintaining the company’s high level of fit and finish for a $2,000 reduction in price. The combination of these factors make the Scout Sixty an excellent value for riders looking for a sporty, premium cruiser without, seemingly, having to make any compromises usually required for a bike in this price range. Although it may be quite similar looking, Ducati’s revamp of the original Diavel shares only brake calipers and tires with the new XDiavel. 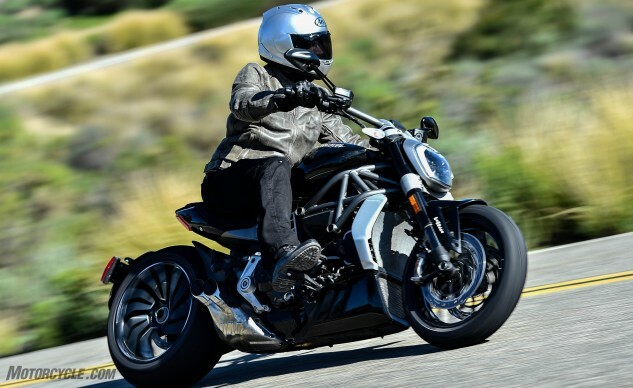 After riding the XDiavel, we feel that Ducati’s second draft of their vision of a cruiser hits all the points that were missed in the original. Starting with the shift to the feet-forward pegs, Ducati embraced the standard cruiser riding position – despite the protests of the more sporting-focused Ducatisti. Yes, it is possible to build a sporty motorcycle that doesn’t tuck the rider’s feet underneath or behind the saddle. Even more improbable is Ducati’s claim of a 40° lean angle while maintaining the relatively low 29.7-in. seat height, which is living proof that feet-forward and good ground clearance are not mutually-exclusive design goals. We were so impressed that we said, the XDiavel’s suspension does a remarkable job of impersonating a sportbike in cruiser’s clothing. Having ground clearance and capable suspenders is nice, but it wouldn’t mean much if the engine were a dog. No problem here: The Testastretta DVT 1262 features variable valve timing that delivers a heaving amount of useable torque over a broad range of rpm. While the torque peaks around 5,000 rpm, it remains flat all the way to 7,500 rpm. Its class-destroying 145, horsepower takes care of the top-end rush, even if most cruiser riders will rarely use it. So, with useable power, good ground clearance and competent suspension, the only thing left is the styling. You won’t find any conchos or fringe, but the attitude is unmistakably cruiser – with an Italian flair. It makes a strong visual statement unlike any of its feet-forward classmates. These add up to a unique cruiser worthy of the Ducati name and is enough to be MO’s Honorable Mention for Best Cruiser of 2016.